Tony Blackburn picks the Tracks of My Years, with songs from Michael Jackson and R&J Stone. Plus the daily Love Song, Record and Album of the Week and PopMaster. 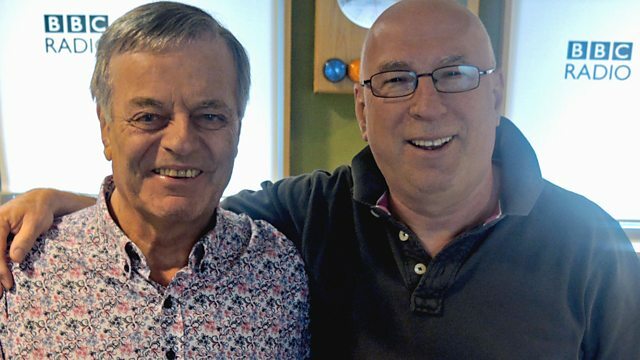 Tony Blackburn, the legendary Disc Jockey celebrates 50 years in broadcasting and picks the Tracks Of My Years, including songs from Michael Jackson and R & J Stone. In addition, there'll be another exciting round of PopMaster, the daily Love Song and Ken has the Record and Album Of The Week. You can contact the show, just email - ken.bruce@bbc.co.uk. The Very Best Of Power Ballads (Various Artists). 25 Years of Rock 'n' Roll 1979. Nilsson - A Touch More Schmilsson. The Best of Billy Ocean. Big Motown Hits & Hard To Find Classics Vol.1 (Various Artists). Rediscover The 70's - Emotions. Twenty One Hit Wonders (Various Artists).